The Enerpac JS-Series Jack-Up system, developed and manufactured by Enerpac Heavy Lifting Technology, has been shortlisted in the Safety Category for the 2018 ESTA Awards of Excellence. With outstanding levels of stability and ease of deployment, the JS-Series Jack-Up broadens the project implementation and lifting options for heavy lift contractors. The Enerpac JS-Series Jack-Up system is a hydraulically-raised, mechanically-locked, lifting system, permitting safer project implementation. It reduces the need for personnel to work at height, through lower pick-up height, as well as enabling more advanced assembly at ground level. In addition, mobilisation costs and on-site footprint requirements are significantly reduced. 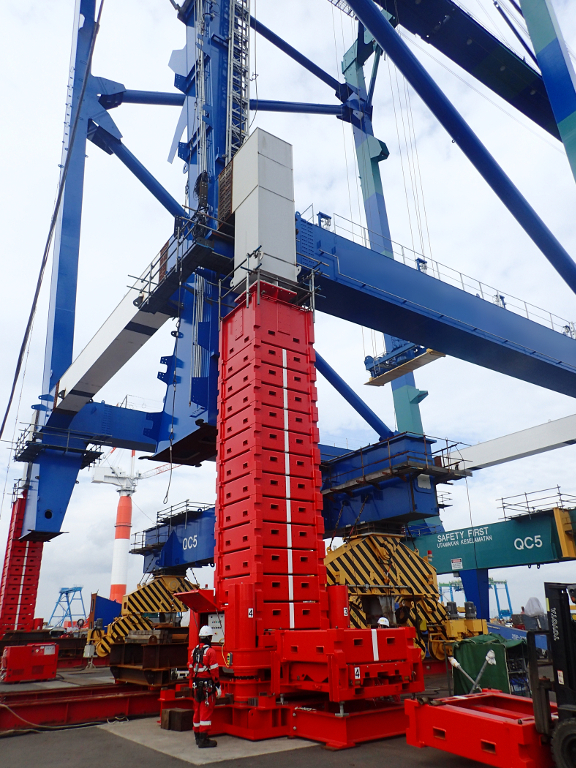 The Jack-Up system also offers greater stability and tolerance to windy conditions than equivalent capacity cranes. 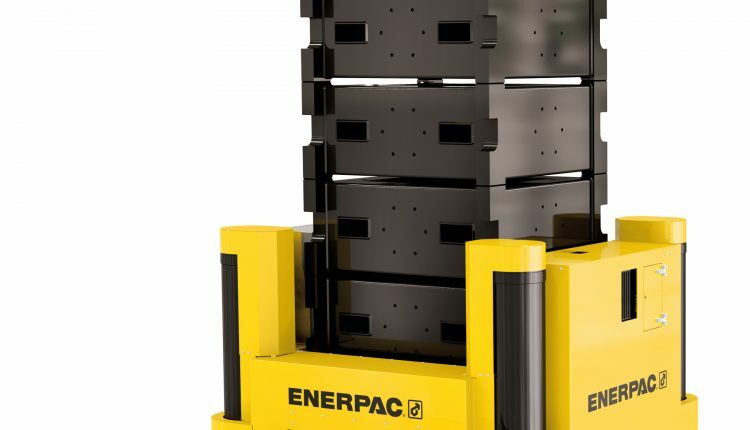 Enerpac’s JS-Series Jack-Up system is a multi-point lifting system comprising either two or four jack-up towers, one positioned under each corner of a load. The lifting frame of each jack-up tower contains four hydraulic cylinders, which lift and stack steel barrels. The load is lifted in increments as barrels are inserted via an automated system and stacked, forming the lifting towers. Managed by a single operator, each tower’s lifting and lowering operations occur simultaneously, while the Jack-Up’s synchronous technology maintains the balance of the load. Launched in 2017, the JS-Series Jack-Up system range includes the JS125 (125T per tower), JS-250 (250 T per tower), JS-500 (500 T per tower) and JS-750 (750 T per tower). It has a modular construction, where each part is easily handled without the need for heavy lifting equipment and transported within a standard 40’ shipping container. ESTA is the leading European association for the abnormal road transport and mobile crane rental industry. The ESTA Awards of Excellence will be awarded on 26 April at the Hilton Charles De Gaulle Paris, France. For more information on the Enerpac JS-Series Jack-Up system visit www.enerpac.com.